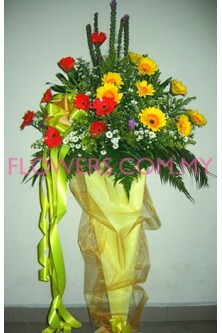 Description:An impressive congratulation arrangement of flowers for all occasions or events. 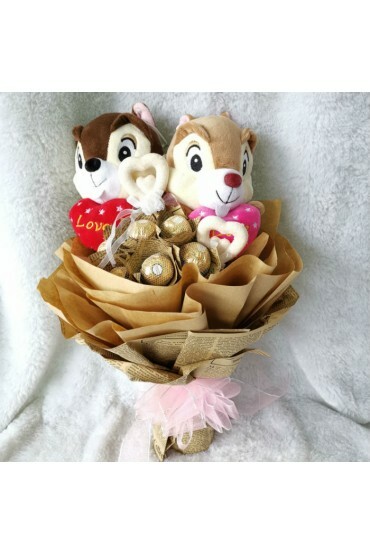 This si.. 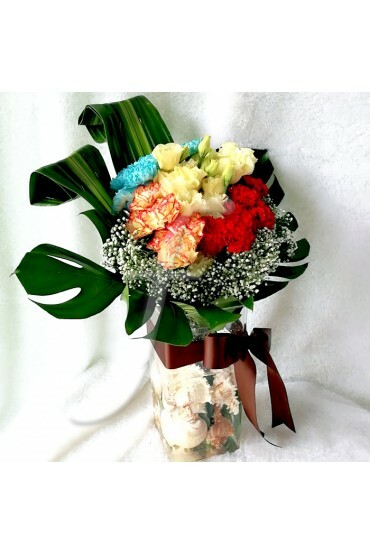 Description: 1 tier stand with a combination of Red Ginger, Gerbera, and other foliages Availabilit..
Wheresoever you go, go with all your heart. 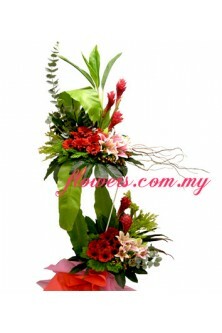 ~ Confucius ~ Description: 2 tier stand: Red Ginger, G.. 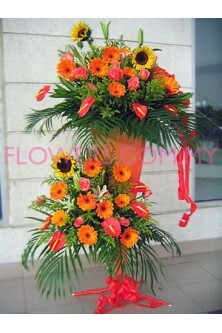 Description:1 tier arrangement of mixed Gerberas with fillers, specially for grand occasions (Approx..
To freely bloom - that is my definition of success. 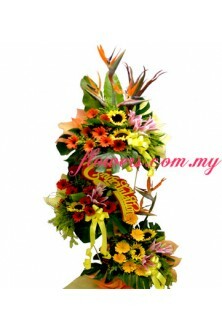 ~ Gerry Spence ~ Description: 3 tier stand: Bi.. 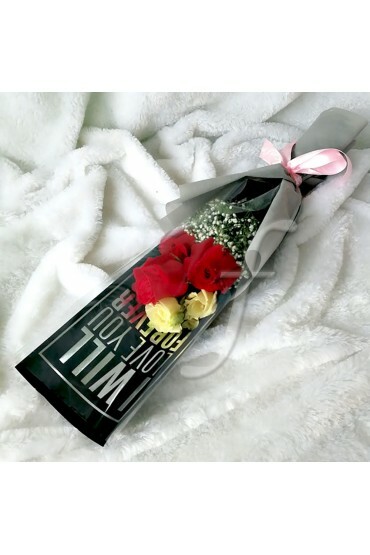 The best way to predict the future is to invent it. 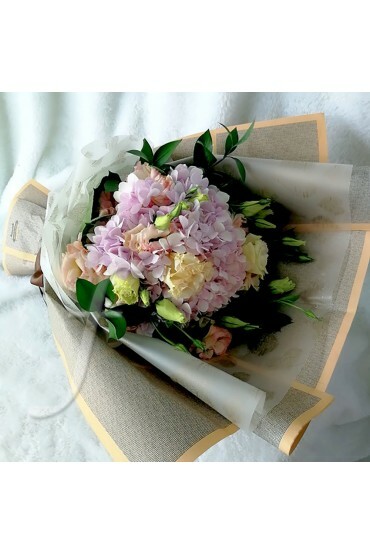 ~ Alan Kay ~ Description: 1 tier stand: Sunflo.. 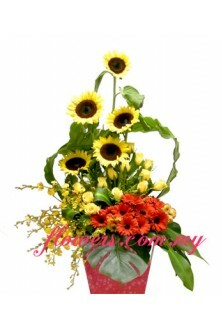 Description: 2 tiers arrangements - roses, gerberas, bird of paradise, paku leaf, yellow peacock and.. 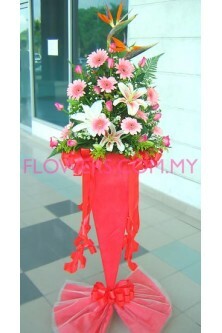 Description: 1 tier stand with a combination of Red Ginger, Gerbera, Orchid, Rose and other foliages.. 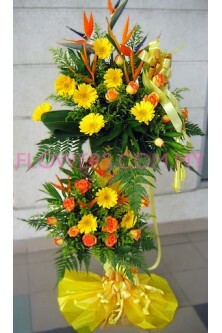 Description: 2 tiers arrangements - Roses, Gerberas, Sunflower, Stargazer, Anthurium, Palm leaf, Yel..